DJMEO, also known as Romeo Purperhart was born in Suriname. As a kid he grew up in a musical environment where he used to hear music like Otis Redding, Marvin Gaye, Curtis Mayfield, Michael Jackson, Bob James, Peter Tosh, Bob Marley, etc. During his years as a kid he developed his musical energy because of his love for music. At the age of 10 he got his first tape deck and a turntable with a pitch control. When he turned 12 he got his first gig at the neighborhood center, family birthdays and small parties and at the age of 16 he was participating DJ scratch battles and won many cups. At the age of 18 his carrier as a professional musician started. He then gave several shows in different nightclubs and festivals in the netherlands,suriname and germany such as: Challenge, Margaritas, Cream, Escape, Ministry, Industry, Peppermill , Kwakoe Festival and many more. During that time he and his good friend started their own record label named P.O.W Records which stands for Positivity Of Wisdom. His older brother learned him how to produce, record, arrange, compose and even how to coach artists. 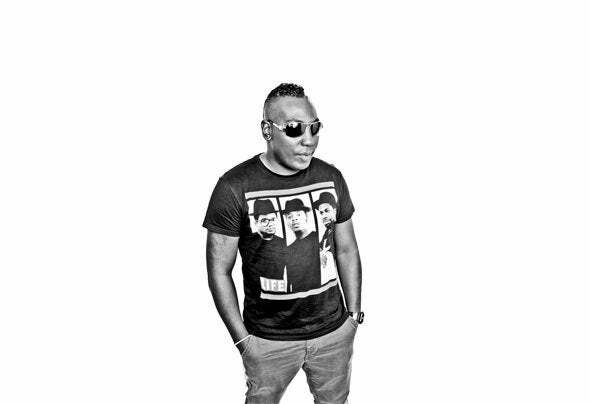 DJMEO worked and produced music for several Dutch based artists such as: Orville Breeveld, Smiley , Tasha's World, Shirma Rouse ,Mc Smalls, Miriam, Kiddo Cee. In 2006 P.O.W Records released their first single and videoclip called Tomorrow with reggae artist Smiley on direct management. They started their own band and DJMEO was the drummer but he was also composing, producing, arranging, and musical directing the band to an higher level. They went on tour with Smiley and did many shows on big dutch festivals like Uitmarkt Brand an UPC Stage, Gospel Festival and Heineken Music hall. In 2008 DJMEO started an record label and recording studio on his own called DJmeo Records. He was than working and engineering, recording, mixing vocal, music and video tracks for national and international reggae and dancehall artists like Smiley, Ziggi Recado, Junior Kelly, Chezidek, Norris Man, Mojo Morgan, Lutan Fyah, Deva Bratt. Last year (2012) DJMEO released 4 singles namely ; Virus , Looking for you, Unforgettable and Move your body on Beatport Records. This year (2013) DJMEO is working on his new album ( Timechange ) which contains electro, dirty and vocal house music. He did some wicked remixes and featurings with national and international artists on the album. In sep 2013 he released a new mix tape ( Chapter 1 ) on his sound cloud en Beatport account. During all these years he gained a lot of experience in his music career , so we can expect a lot more of his musical creativity in the near future.